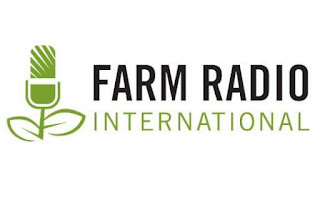 We are the only international non-profit organization dedicated exclusively to serving African farming families and rural communities through radio. We currently work with more than 650 radio partners in 40 sub-Saharan African countries to fight poverty and food insecurity through high-quality radio programs that help small-scale African farmers help themselves. Together, we reach tens of millions of small-scale farmers with life-changing information and opportunities to have a stronger voice in their own development. Assist with preparation of budget annually and make follow-up on utilization of budget monthly. Prepare monthly, quarterly and yearly financial reports in a timely manner. Monitor procurement activities to ensure that they are in line with the FRI and donor regulations. Review all budgetary issues with project staff and as appropriate with the donor budget & activity. Keep up-to-date financial information daily. Solve problems related to the position effectively when required. All other duties as assigned by the FRI Regional Finance and Administration Manager or FRI Headquarters. Update the new Orange HR software every month. Keep proper filing for correspondences & financial documentation daily. Provide financial and other related information as required for management. Perform other required duties as required by Country Representative & Regional Finance Lead. A minimum of five (5) years of experience in financial management, of program with annual budget of at least $1 Million a year and also one year of experience in personal and office administration. Proficiency in computer skills, spreadsheet, accounting packages QuickBooks communication packages and MS Word, Excel, Power Point is requires. Strong analytical, communication and problem solving skills is necessary along with capacity to identify and articulate potential problems and provide possible solutions in concise and clear manner. Experience in working with international development partners, international nongovernmental organization (INGOs). Experience working with ethnically diverse communities and with projects implementing gender mainstreaming strategies.